INSIDE THE WRITERS’ STUDIO: After two novels, why short stories? CRAIG LANCASTER: It wasn’t a deliberate choice; they’re simply what started coming out of my fingers after I delivered my second novel, “The Summer Son,” to my publisher. I’d written two novels in quick succession and wasn’t ready to launch into another one, but the compulsion to write was still there. I was also going through a pretty dramatic, turbulent time in my personal life — my wife and I were on the brink of divorce (we ended up repairing things) — and that certainly had something to do with the kinds of stories I ended up writing. All of them deal, in some way, with the idea of separation — not just in a marital sense, but also from ideas, rules, fears, etc. IWS: How do you feel about writing novels as compared to how you feel about writing short stories? CL: I can’t deny that the feeling of accomplishment with a novel is greater; it’s simply a more difficult thing to do well, given the size of the story and the many ways it can go wrong. But I wouldn’t go so far as to call short stories easy. To work an entire arc — and to give the reader reason to care about the characters — in a smaller space takes skill and deliberation. Stephen King, who writes terrific short stories, once described them as palate cleansers between novels. I don’t know that they were that, exactly, for me, but now that the collection is done, I’m back to tackling novels. Still, I can’t imagine not writing the shorter form, too. I enjoy it. IWS: What themes do you tend to gravitate toward in your short fiction? CL: The same ones I gravitate toward in my long-form fiction: relationships, family dynamics, the search for peace among restless people, that sort of thing. I’m enormously impressed by writers who can create imaginary worlds, or blend magical realism with everyday life, but my brain simply doesn’t work that way. I spend much of my life trying to figure out the human condition. And that’s where my writing goes. CL: “Discouraging” isn’t the word I’d use; it’s the way things are, and I’ve always known that. I’m more discouraged by things that are screwed up and yet have the potential to be more promising, like the political climate right now. I knew when I pitched the stories to my publisher that they’d probably be turned down; collections simply don’t balance on the P&L sheet, and my writing isn’t sufficiently literary for the likes of Graywolf Press, which really does a nice job with collections. So I hired the best editor I know, Jim Thomsen, and prepared the stories for publication through the little press I run out of my living room, Missouri Breaks Press, which has already published two other well-received books (Carol Buchanan’s “Gold Under Ice” and Ed Kemmick’s “The Big Sky, By and By”). Given the state of trade publishing in general, I was more than happy to go this route. I imagine my career will be an amalgamation of traditionally published books, magazine pieces and targeted self-publishing. So it fits. IWS: Have you considered selling the stories as individual pieces for Kindle rather than as a collection? CL: Three of the pieces — “This Is Butte. You Have Ten Minutes,” “Alyssa Alights” and “Star of the North” — were originally bundled together as an e-book (which I took down after I pulled together the full collection), and it sold decently with almost no promotion by me. The problem I run into when I think about releasing stories piecemeal is price: The e-book version of the collection is priced at $3.99, which I think is a competitive price point that might also attract some people who haven’t read anything by me before. If you’re going to sell 10 stories for the price of a cup of coffee, what’s the rate for one? I don’t know. IWS: What’s your favorite story in the collection, and why? CL: I have a deep attachment to all of them, of course, but I’d have to say “This Is Butte. You Have Ten Minutes.” Writing that story was one of the rare times I felt completely sure-footed, and when I was finished, I knew I had something good. It’s also the story with the most direct inspiration: A year ago, I hopped a Greyhound bus for Missoula because my wife needed our SUV to move out of our house. I was in this horrible trough emotionally, and yet I was also strongly attenuated to the motley gaggle of fellow riders. In the story, a man deeply disengaged from his life climbs aboard a bus after his car breaks down. I was fascinated by the idea of this guy, surrounded by people and yet with no intimacy at all. That’s how I felt. IWS: What do you focus on most when writing? That is, what’s most important to you to lend your craft to when writing? CL: As to the first part, it depends on the story. This collection is bookended by two stories that illustrate this. The first and longest, “Somebody Has to Lose,” took several weeks to finish. The last, “Comfort and Joy,” was written in a single day (with revisions stretching over a couple more days). When I write a first draft, I generally work quickly, and I’ve become fairly adept at building a good, solid structure. I think I have a good sense for flow, and my writing style is spare and direct. But for me, the best stuff happens in the revision stage. I love, love, love to rewrite, and I’m the luckiest guy in the world because of that. And now: How YOU lucky readers can get your free download of Quantum Physics and the Art of Departure (OFFER ENDS SEPT. 30, 2011). Select the format you want. 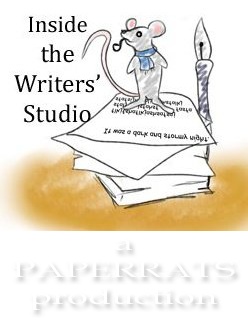 If you don’t have a Smashwords account, you’ll have to sign up for one. But don’t let that dissuade you. It, too, is free, and there are a lot of good e-book bargains on that site. It’s a panoply of reading pleasure for the story enthusiast. Please pass this along to your friends with e-readers. The offer is good until Sept. 30, and I’d love to see as many free copies as possible sent out into the world. After you read the book, if you’re so inclined, please offer up a review at Amazon.com or Barnes & Noble or Goodreads or LibraryThing, if you frequent those places. Or tell a friend.